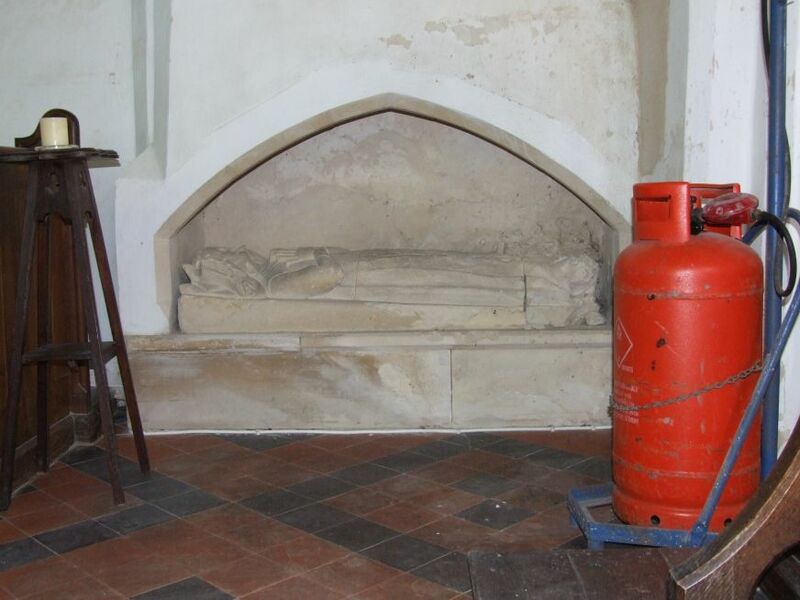 In the last years of the 20th century, with middle age approaching and a sense of my own mortality starting to nag, I got on my bike and cycled around the county of Suffolk, visiting its medieval churches. It took me about four years to get to them all, and as part of the journey I got to a lot of the later ones as well. 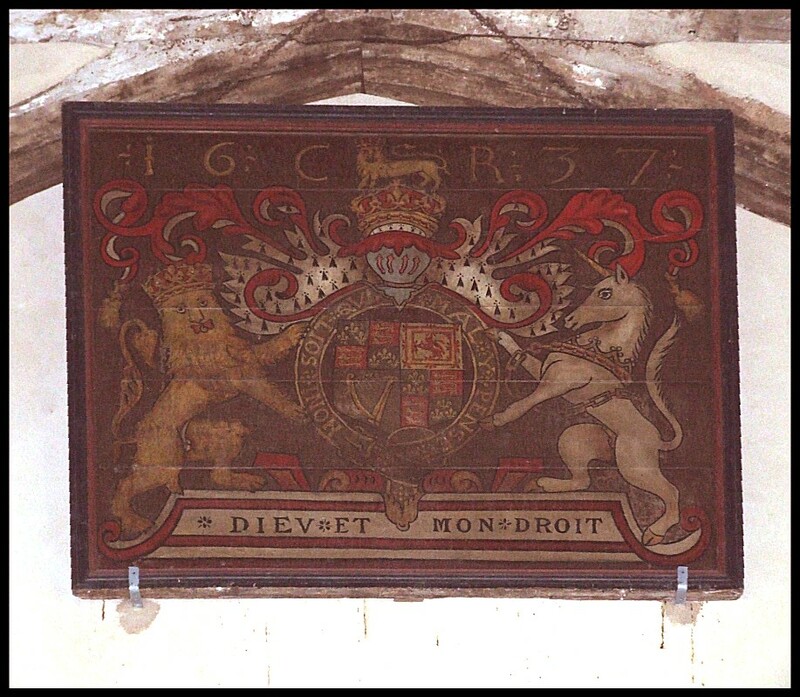 As well as the personal challenge and a fascination with late medieval church history, there was a spiritual dimension. 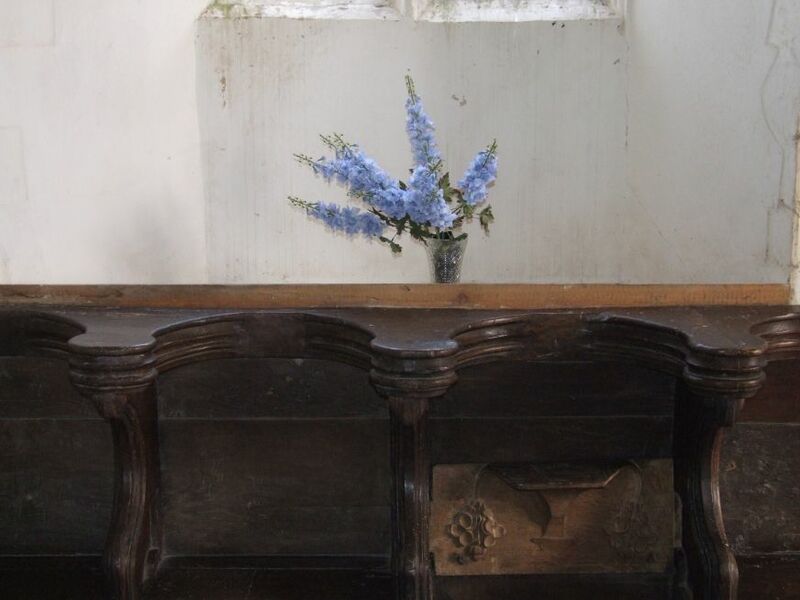 It was a kind of a pilgrimage, if you like, and I recorded my progress on a website, the Suffolk Churches site, which has grown into the site that you are reading at the moment. I did not have a digital camera. For the first year or so, I did not have a camera at all, and those visits are now lost to all but my slowly diminishing memory. And then a few months from the end of my quest, my camera failed, and I bought my first ever digital camera. And so it was that I finished the journey taking photographs that were, at last, of a reasonable quality. And then, I did Norfolk. In the spring of 2007, it seemed about time to go back and do Suffolk again. Having cycled all those lanes a few years previously, it seemed entirely reasonable (or, at least, I thought so) to do much of it by car this time. So, how has the return to Suffolk been? 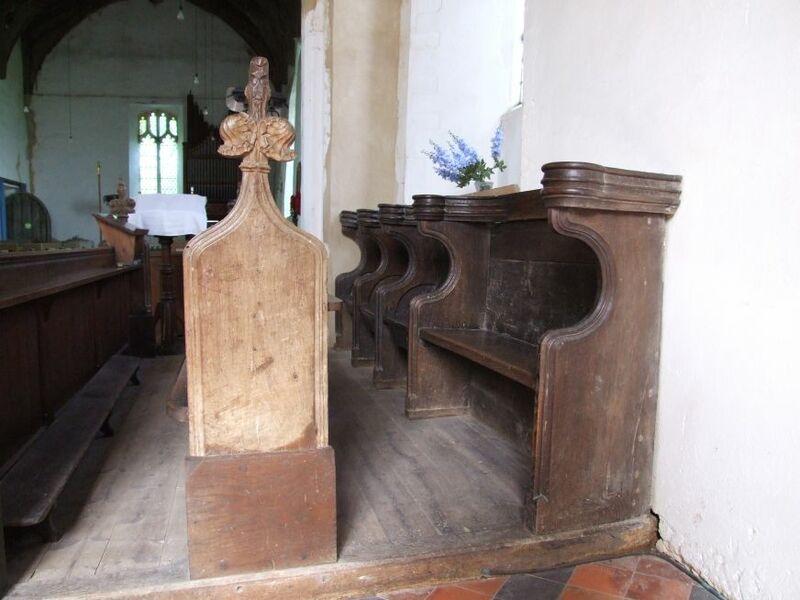 Well, about fifty churches in, I am having a whale of a time. One of the delights is quite how many churches are open now which I had found locked ten years ago. 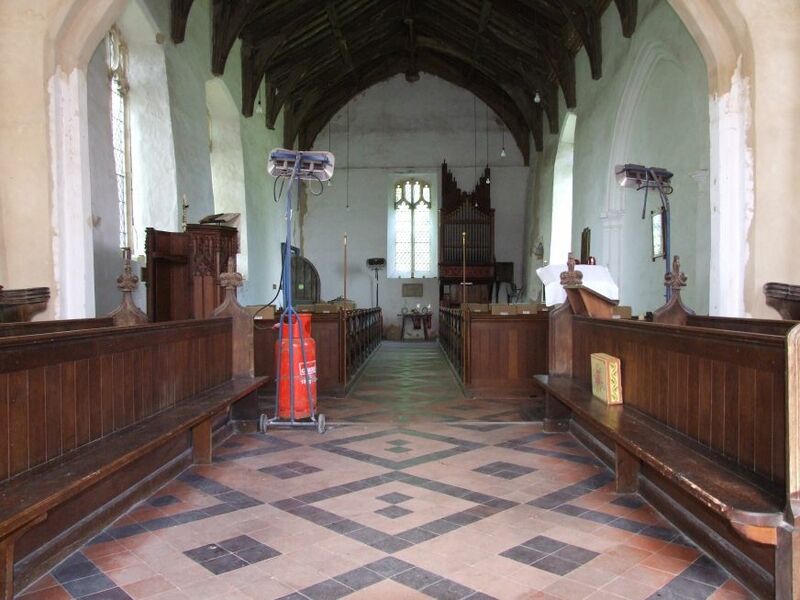 Another is finding how well cared for so many of the churches are, although I would hasten to add a caveat, for unfortunate things are being done in some places in the name of Health and Safety. I had really been looking forward to coming to Denham, not far from Eye - there is another village of the same name near Newmarket - and this wasn't just for the church. I remembered how beautiful the graveyard was on my previous visits. Here, we are unquestionably out in the wilds. 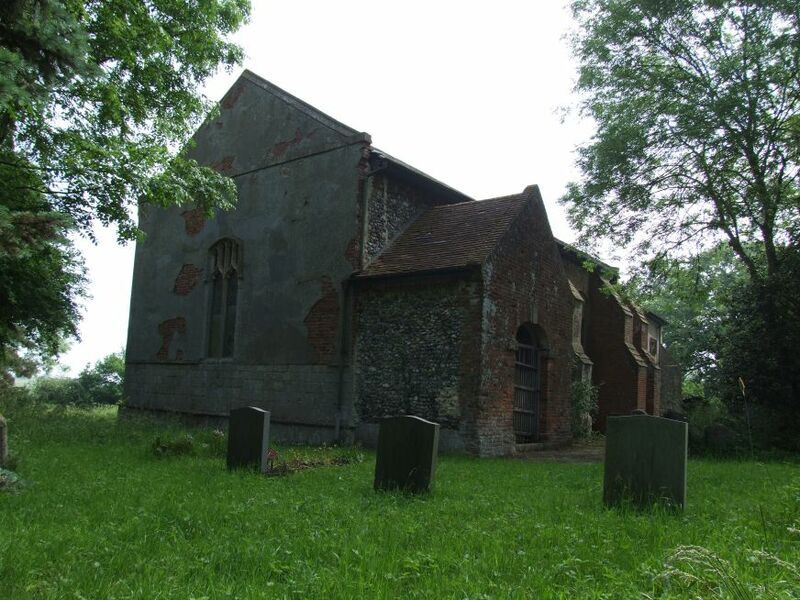 Surrounded by wooded hills and fallow fields, away from its tiny village on the road between Hoxne and Horham, St John the Baptist is a great survivor, a low jumble of medieval features hugging the wilderness of its graveyard. A narrow road winds nearby, but I think you could spend hours here without seeing another human being. 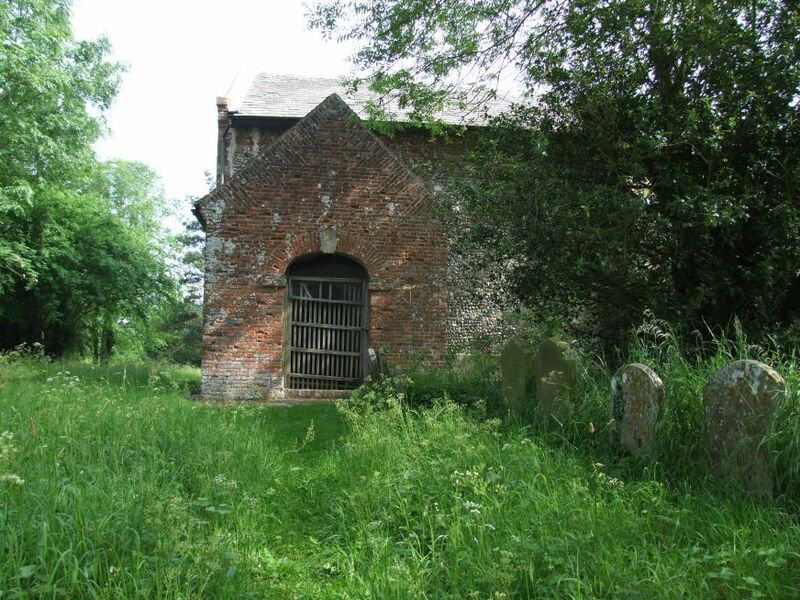 On a previous version of this entry, I said that St John the Baptist had the air of an abandoned church. On three visits, I had found it firmly locked, and although there was a keyholder listed on the last occasion I came here, it wasnt a very helpful address, being of the Thatched Cottage, The Street, Denham variety. 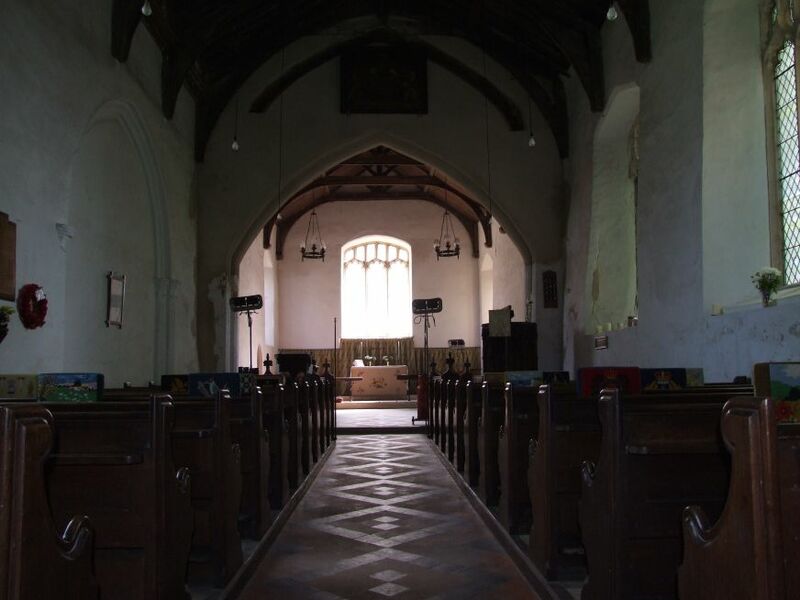 As for the church itself, it has been so battered and patched up over the years, and does not wear its scars lightly; towerless, it looks a poor old thing. 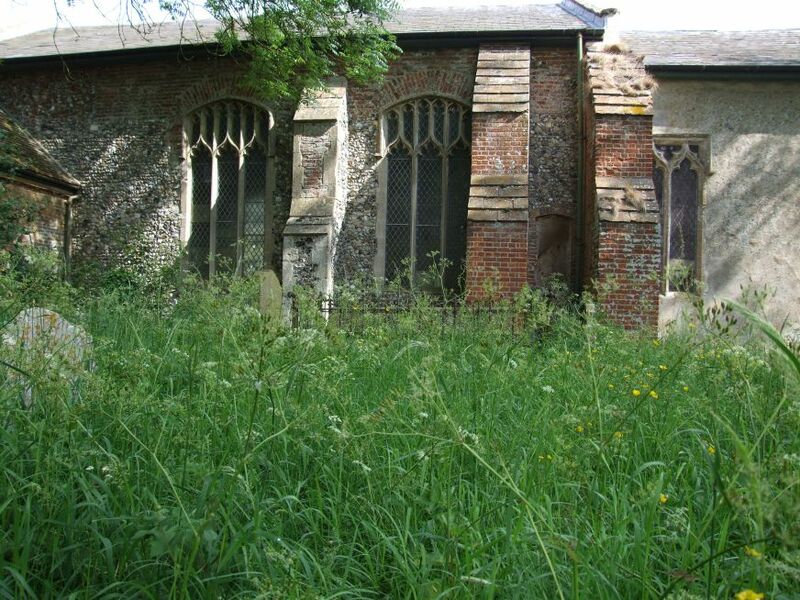 Far from the nearest house, its graveyard overgrown, grass growing from the buttresses, slates from the roof littering the path, it struck me as one of the more vulnerable of Suffolks churches. Coming back now, there was all this and more. Yes, it is still a beautiful graveyard, a deep peace settled in a cleft in the rolling fields. 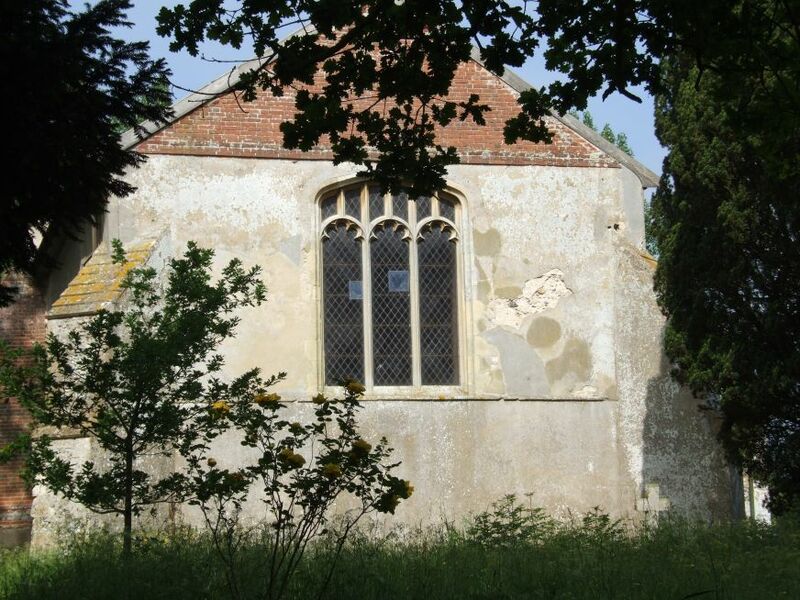 And it is still a ramshackle old church, but that is its delight, its silent witness. There are a couple of unusual external features; in the north side of the nave, there is a vast archway, filled in with red brick. 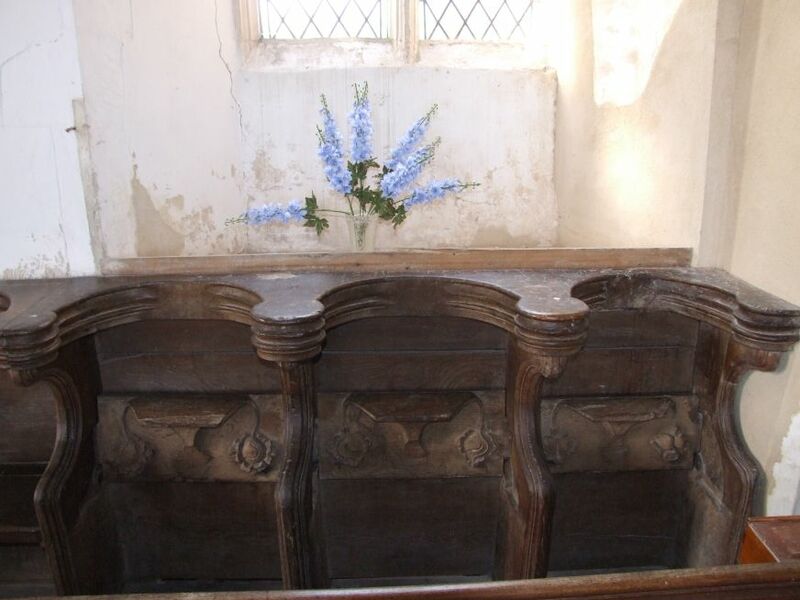 At one time, there was a chapel or even a transept here; this is unusual in so small a church. On the south side, check out the gap between the two buttresses, where the nave meets the chancel. 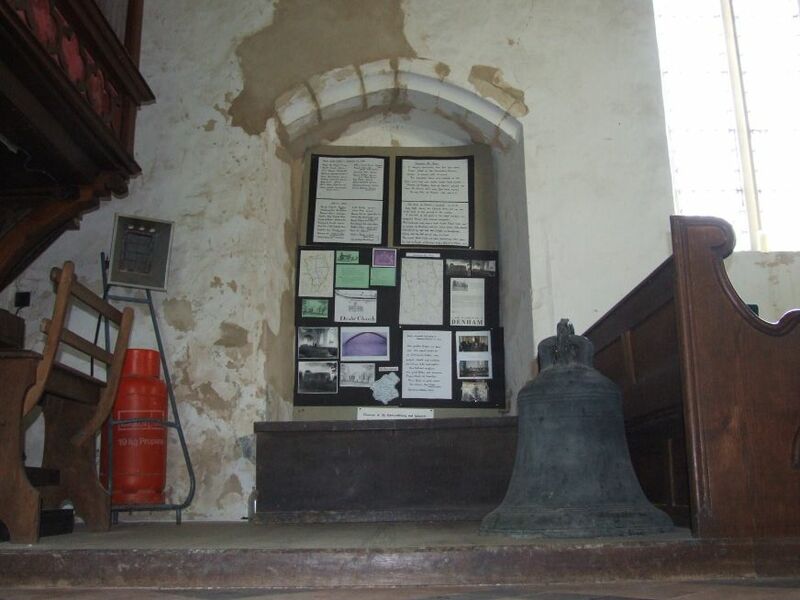 The rood loft stairway has been exposed. But the biggest joy is the graveyard. It is a rolling, overgrown perfection. 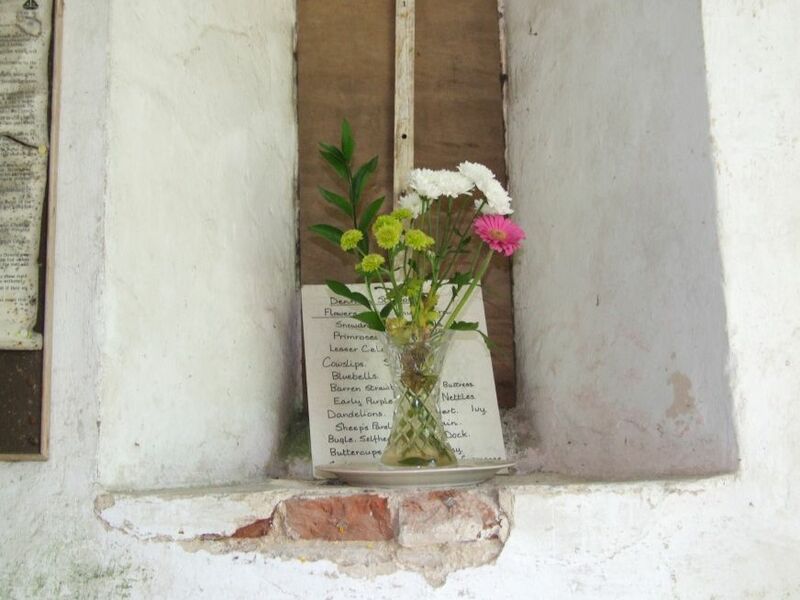 It is one of the loveliest graveyards I have seen in East Anglia, if you can ignore the ugly laminated health and safety notices which are scattered around. It is worth saying at this point that fear of litigation is giving rise to great acts of vandalism all over Britain. Aside from inappropriate and intrusive signage, we are seeing floors levelled, doors made straight, rough edges smoothed. There needs to be more of an outcry about this. 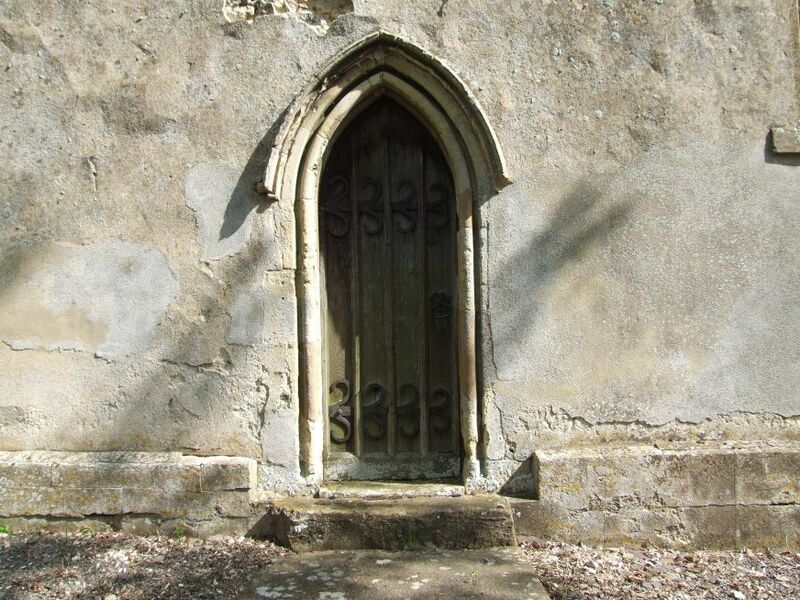 Here, about twenty Victorian footstones have been removed as unsafe and stacked either side of the north doorway. Genealogists would be able to leaf through them at leisure. I hasten to add that Denham St John is still a rough and ready place, but the signs and the stacked stones are an ill portent. 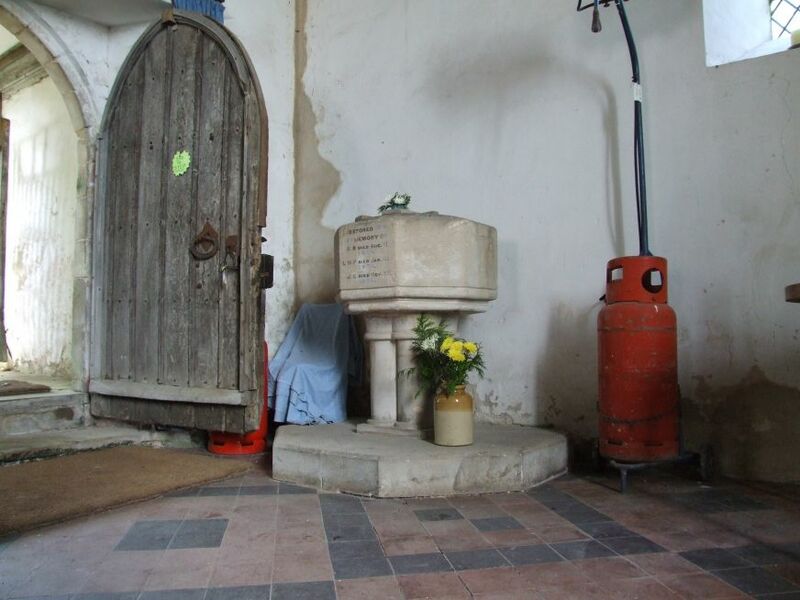 There is now a lovely, friendly keyholder, who is happy to cycle up to the church and bring you the key. And so it was that Peter and I stepped into the church of St John the Baptist. The first impression is of a charming, rustic space, obviously made sound and enhanced by a 19th century restoration, but with not much done since. 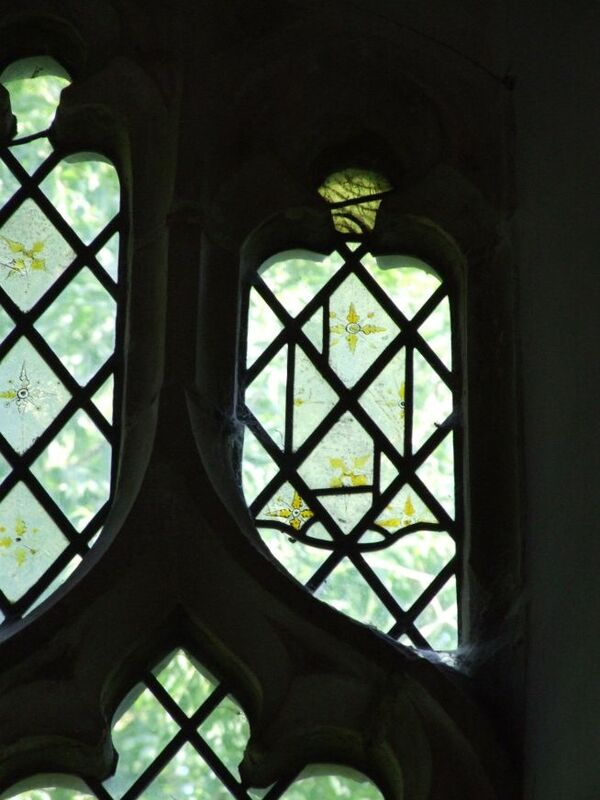 There is the figure of an angel in 15th century glass in the west window, and below it something very unusual. 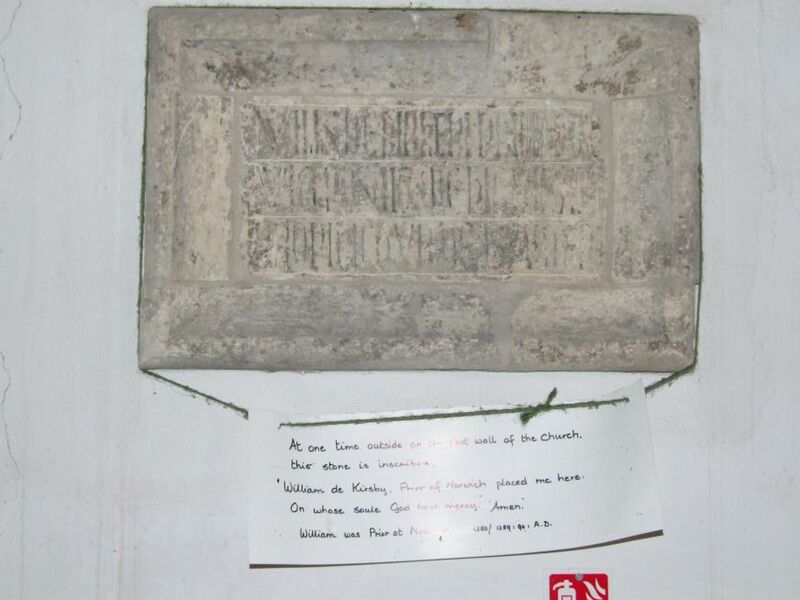 This is a dedicatory inscription stone from the 13th century. It used to be outside, but has been brought in to prevent further erosion. 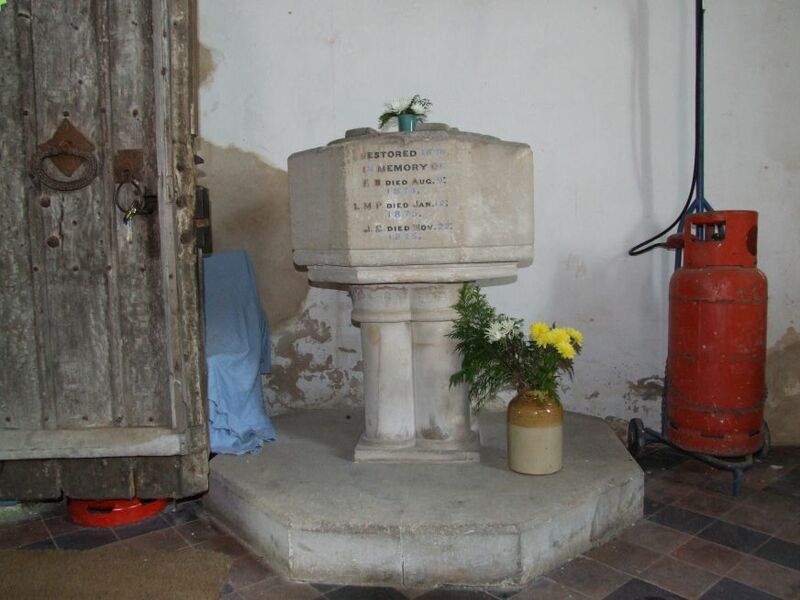 The font appears to be a plain, late medieval octagonal one, but is on a Victorian base, and unusually has been adorned with a 19th century memorial inscription to three peaople who appear, by their initials, to be from different families. It isnt clear to me how often this church hosts worship. 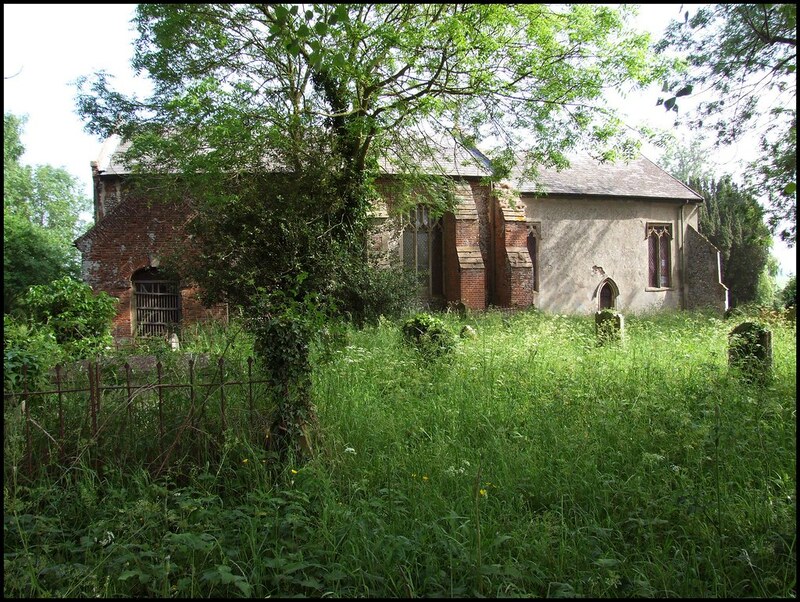 I am sure that there are many local people who love it, just as there must be officials at Diocesan House who bemoan the drain that such a remote and little-used building places on resources. Forget religion. 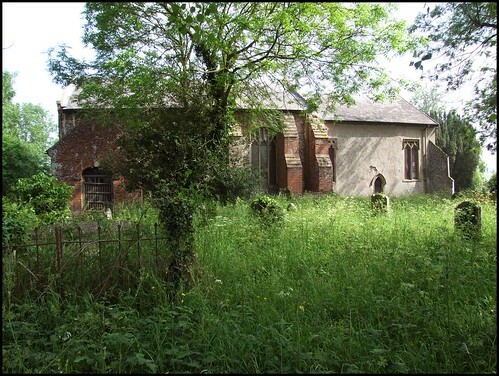 It would be wonderful if this church could be kept open, if only as a spot for travellers and pilgrims to gravitate towards, for rest and reflection. 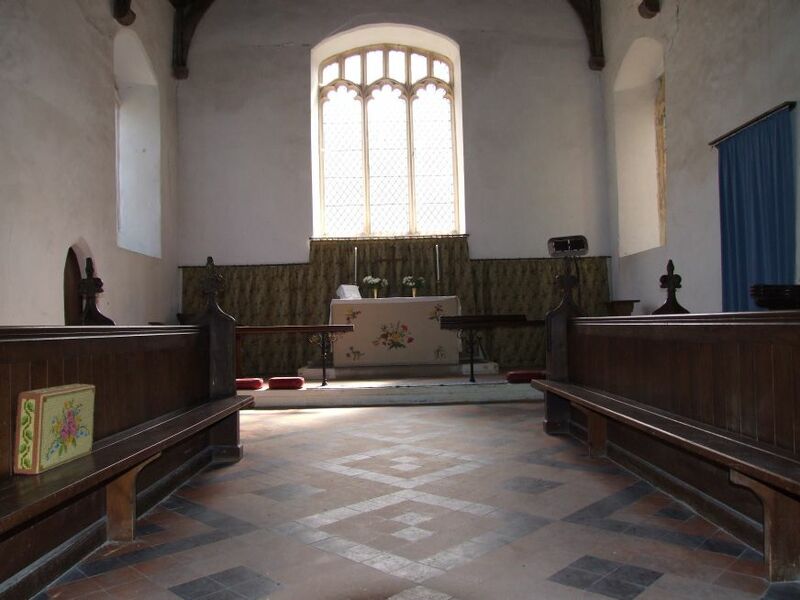 For despite the battering that time has visited upon it, this is a very peaceful place, the old church remaining as a witness to the passing of the centuries; this at least, if nothing more. I saw what there was to see, and left Peter to his own photography. I went outside, and sat on one of the precarious tombchests. I had rested on this same spot some four years before, on a cold, bright autumn afternoon, noting at the time the late afternoon blackbird beginning his heart-rending chorus. Now, in spring, the air was full of heat and the rush of birdsong, the reassuring fecundity of deepest rural Suffolk. 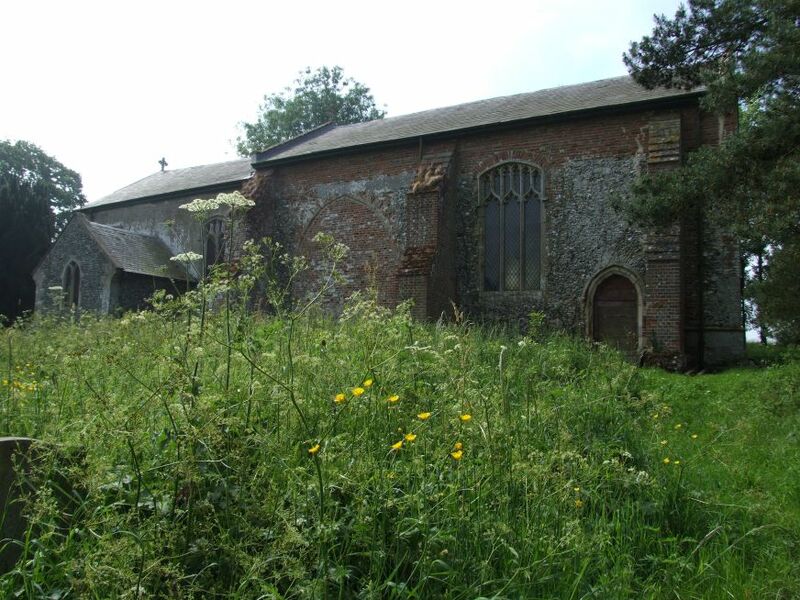 I sat, listening to the industrious bees, and watched a thrush pecking at the dead grass below the nave wall. Suddenly, a slight movement from beyond the graveyard boundary caught my eye. 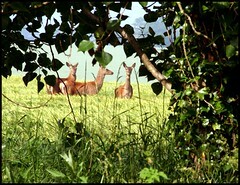 There, in the barley field, not twenty feet from where I sat, were three handsome roe bucks, as big as calves, watching me meditatively. They didn't scare. Two carried on eating, lifting their heads to take another look. We regarded each other silently for a few minutes, before I remembered that I had a camera in my hand. I lifted it, and took a few shots. Hoping for a greater sharpness, I switched to manual focus; but this movement seemed to be the signal for which they were waiting. As one, they kicked and fled, and were gone across the yellowing rise of barley.